In the world of hip-hop, the name Public Enemy has strong relevance to the foundation and evolution as both an art form and a culture since their 1987 debut album Yo! Bum Rush the Show. Through their politically charged front man Chuck D along with the wild antics of one of the most colorful hype-man ever in Flava Flav, Public Enemy brought a strong, many times controversial yet entertaining urgency to the music industry about topics such as race, politics, and inner city life, among many other things. Public Enemy is currently celebrating 25 years in hip-hop, and in hip-hop years, that's more than a lifetime. With two albums set for this year and a major tour, Public Enemy is set to headline Detroit's annual Movement Electronic Music Festival this Memorial Day weekend at Hart Plaza. While Public Enemy gets to get hype on one of the best sound systems in the world at Movement this year and pack in all sorts of their natural energy on stage, Detroit is in the blood of Chuck D. Growing up in the early 1960s, his first conscious exposure of music was all the Motown his family played in the house. However, as he grew up, and learned more about his own history and race relations in this country, some things about Detroit stood out. Back in the 1940s, Chuck D's grandfather drove trucks for Ford, and the fruits of his labor would afford him a Cadillac in the 1950s. As a result, police on 7 Mile Road in Detroit regularly stopped his grandfather. It was one of many bold lessons about Detroit and the world that Chuck D got to learn. When Chuck D hit it big with Public Enemy, Joe Louis Arena was their haven for many classic performances. "When I went on stage in 1989 in front of 20,000 people at Joe Louis Arena," says Chuck D in a recent phone interview. "I told them that my fight fighting racism for his [grandfather] sake has not been in vain. For a city being so close to another country like Canada, there is no excuse for people in Detroit not to be broad-minded about the possibilities of attaching the United States with the rest of the world." It was just an example that how some things have gotten better but there are still many injustices that exist, even some that have gotten worse. Public Enemy has been around for a quarter of a century now, and has seen the topsy-turvy world as new generations come, and how they handle the ideas they have expressed in their music from the beginning. There's always the argument if race relations in America have gotten better or just mutated into new forms. "They have gone into different forms," says Chuck D. "With the last two generations, maybe some of the urgency isn't there and there is some complacency as far as knowing the necessity of knowing your history. Just to understand where to go in your day-to-day lives. At the end of he day, if you don't know yourself and someone knows you better than you know yourself, or if someone defines you from the outside, then you have a new sort of racism." 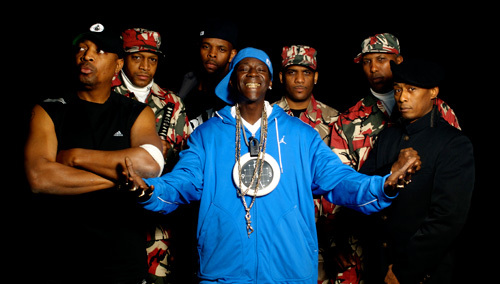 Along with the upcoming headlining performance at the Movement Festival here in Detroit on Sunday, May 27, Public Enemy is planning a big tour spanning around 24 cities where they are looking to bring on other classic hip-hop acts for each city. Also, they have a pair of albums set to drop this year, one in June and another in September. "These two projects are statements in the digital age that would have been impossible years ago." explains Chuck D. "I'm glad the music is able to make a statement now." Public Enemy headlines the main stage at the Movement Electronic Music Festival at Hart Plaza in Detroit on Sunday, May 27 at 11:00 p.m. For more information on the Movement Festival, the full lineup and schedule, or to purchase tickets, visit movement.us.